Such a great street scene. Love the details in the stone above the windows. Beautiful details- good that it's being restored. Obviously, this building is an historical treasure. It's wonderful to see that it is being restored instead of being subjected to the wrecking ball. Thanks for you kind words, Jose! Much appreciated. It's going to be a good Xmas! 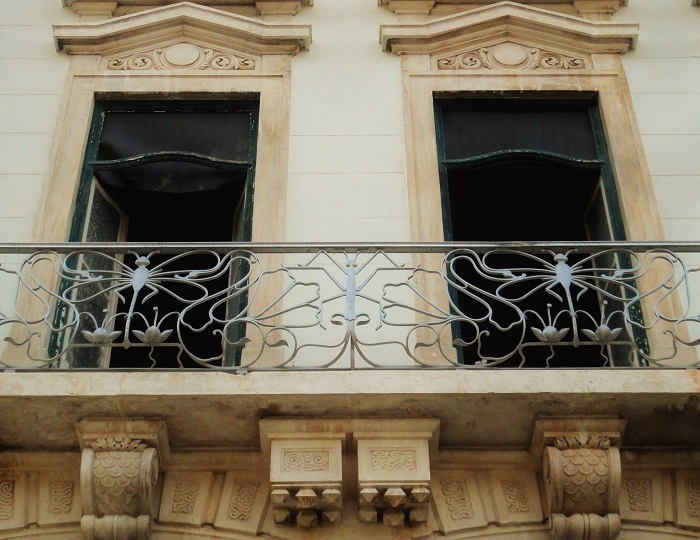 I really like that beautiful wrought iron! And, like Mersad, I love the details in the stone! Great capture for the day as always, Jose!! I do hope you have a wonderful weekend!! JM, this balcony is dazzling!